Chris Jones impressive first half strike was enough to ensure a second victory of the season over Sheffield United and dent their dreams of reaching the top six. Although a play-off place isn't out of reach, coupled with Millwall's defeat, a win would have put them within two points striking distance prior to hosting Port Vale next Saturday. Having picked up a knock in the previous games victory at Doncaster Rovers, boss Nigel Adkins was forced to replace the injured Neill Collins with Chris Basham partnering David Edgar in central defence. Billy Sharp who missed the South Yorkshire Derby returned to the bench. It was the hosts who started the brighter teams and in the early exchanges forced two opportunities at goal and a corner - all inside the first minute as both Tutte and Mayor saw their efforts blocked. Whilst the Shakers had the majority of play within the first 20 minutes, Long's only duties in this period was to catch a volley from Jones. Edgar looped Baxter's free-kick onto the roof of the net in what proved to be the Blades first sight of goal before the hosts took the lead. A ball across the box from Lowe split the United defence with JONES taking time to control and fire the ball home into the top corner. As the half-time approached the Blades saw more of the ball but failed to pressure the Bury back four with the possession they had. Bury captain Cameron was spoken to by referee Stewart Atwell concerning his sides time wasting antics before he blew for half-time. Sharp replaced Calvert-Lewin at the break as the Blades began the second half better than the first. It was in the early minutes of the second 45 minutes that Adams and the Blades had their best opportunity of the match to score as the striker saw his goal bound effort kicked off the line after Lawlor could only parry Campbell-Ryce's shot into his path. Basham then failed to get onto Baxter's whipped free-kick. Long pushed a Maylor effort round the post on 54 minutes and was rightly positioned to save Peter Clarke's header before Adkins made his second change of the night, Flynn replacing Reed. Done was soon added to the equation as he replaced Campbell-Ryce with 20 minutes remaining. Despite their best efiorts a well-controlled Bury defence kept United at bay. Much like the first half the host’s happily slowed the game down. Baxter had been providing good deliveries into the box all night with no green shirt able to get a clean connection, on this occasion Basham headed wide. Late on Brayford's header across goal looked to cause issues but Peter Clarke scrambled to safety. The three minutes of injury time failed to create further chances for either side as 839 travelling support left Gigg Lane very disappointed. Bury: Lawlor, Riley, Tutte, Clarke, L Clarke, Mayor, Jones, Lowe (Pope 80), Soares, Pugh, Cameron. Unused: Ruddy, Hussey, Mellis, O'Sullivan, Miller, Brown. 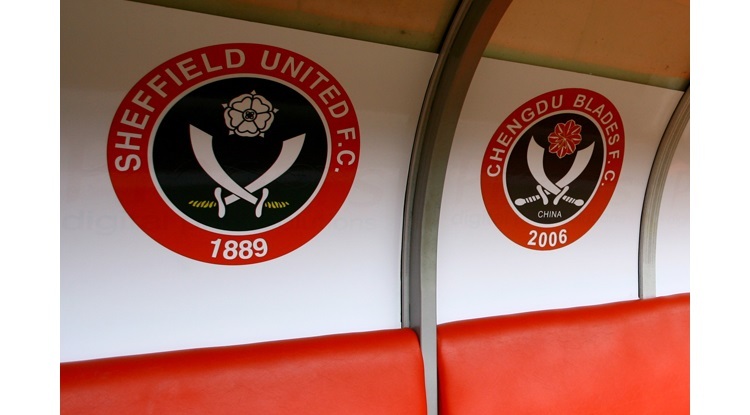 Sheffield United: Long, Brayford, Basham, Baxter, McEverley, Campbell-Ryce (Done 70), Reed (Flynn 58), Calvert-Lewin (Sharp 45), Adams, Edgar, Hammond. Unused: Howard, Coutts, Woolford, McGahey.